Make your mark in a way that's subtly stated but easy to read. 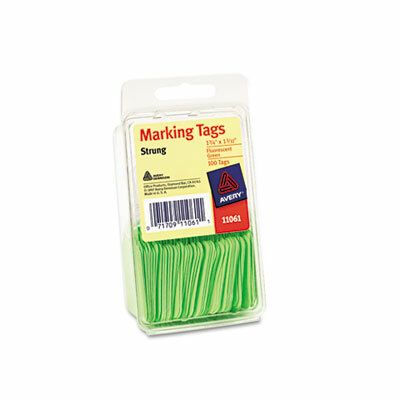 Handy marking tags feature a smooth surface that's easy to write on and read at a glance. Convenient string lets you tie the tag wherever you need it. The tags' compact size makes them ideal for marking prices, sizes, ownership or other features for sale or storage. Made of long-lasting cardstock. When you need to organize items large and small, these easy-to-use tags hit the mark every time.